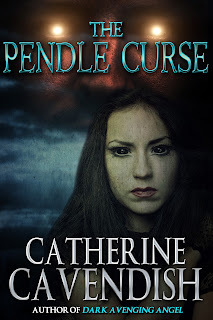 My novel The Pendle Curse has some of its roots in a true story. In August 1612, ten men and women were convicted, in Lancaster, England, of crimes related to witchcraft and subsequently hanged on Gallows Hill. They became known to history as the Pendle Witches. Of course, as I write horror, my witches are evil. Powerful and best avoided. 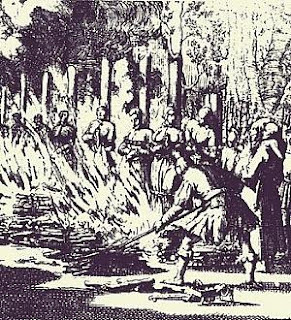 But back in the 16th century, witch-hunts were in full swing, thanks in no small part to the activities and beliefs of the then King, James VI of Scotland, who later became James I of England in 1603. 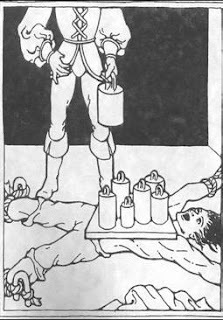 His book, Daemonologie, gave carte blanche to self-styled witch-finders everywhere, but it was Scotland that took witch-hunting to a new level, giving it the dubious distinction of having executed more witches than any other country in Europe. Thousands of people – mostly women – were accused, tried and convicted of witchcraft in Scotland. Many then faced the horror of being burned alive at the stake. Some were granted the mercy of strangling, before their lifeless bodies were set to the flame. Situated off the north coast of Scotland, across the wild and unpredictable Pentland Firth, lie the green and peaceful islands of Orkney. The countryside is idyllic, the pace of life tranquil. Yet appearances can be deceptive. 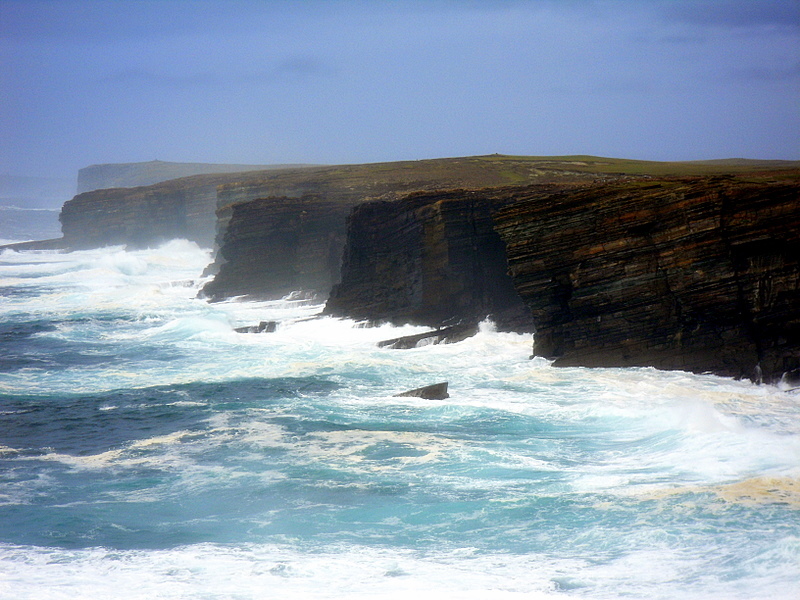 It may be like that now, but Orkney has known a turbulent history. In the late 16th century, they were ruled over by the notoriously ruthless and cruel Orkney Earl – Patrick Stewart. Hated and feared by most of the populace, it was hardly surprising that someone should attempt to kill him. The plot to poison the Earl was allegedly instigated, by his brother, John, Master of Orkney. But it was his servant – Thomas Paplay – who was arrested and imprisoned. The torture he endured in the attempt to extract a confession out of him was barbaric in the extreme. For 11 days and nights, he was kept in “the caschilaws” – and iron structure that was gradually heated until it burned the skin. Then the torturers stripped him naked and flayed his skin with ropes. Hardly surprising that he ‘confessed’. He also named Alison Balfour as an accomplice – a “known notorious witch”. Alison was arrested, but pleaded her innocence so, once again, the torturers were enlisted. Earl Patrick had no love for his brothers, who threatened his power, and wanted them implicated, so that he could rid himself of them once and for all. In fact this botched poisoning had rendered him an opportunity to settle old scores with a number who had annoyed him over the years. The man to wring a confession out of Alison was chosen - Earl Patrick Stewart’s close friend, the parson of Orphir – Henry Colville. Colville concentrated his attention on a piece of wax in Alison’s possession which had been given to her by Patrick Bellenden, the Laird of Stenness. Alison insisted Bellenden had given her the wax so that she could create a charm known as an “implaister”, the object of which was to rid Lady Bellenden of a troublesome stomach complaint. Colville would have none of it. There must be a much more sinister purpose behind the wax. Normal interrogation failed to provide the desired confession, so she, like Paplay before her, was put into the “caschilaws” and tortured. Two days later, with no confession, the torturers decided on another means to their diabolical end. They brought in her husband (whose age is variously given as 81 or 91) and two children. 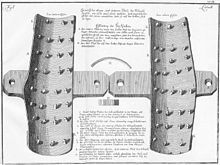 In front of Alison’s eyes, they crushed her husband in the “lang irons”. 700lbs of weight were piled on him, but still she wouldn’t confess. They started on her son. His legs were placed in the notorious “boots”. Wedges were driven into them, crushing the feet and legs. 57 mallet strokes were delivered, but still Alison held firm. Finally, her seven year old daughter was brought in. 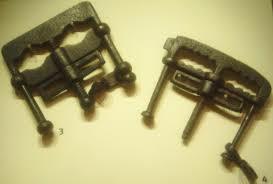 They crushed her fingers in the “piniwinkies” – a thumbscrew. This proved too much for Alison and she broke down and confessed to witchcraft. She was sentenced to be burned in Kirkwall on December 15th 1594 but at the scaffold she retracted her confession, stating that she had only made it to stop the torture of her husband and children. 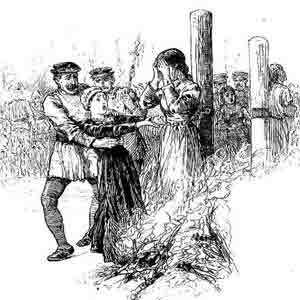 She was strangled and then burned at the stake. In 1596, John Stewart was tried in Edinburgh for “Consulting with witches, for [the] destruction of [the] Earl of Orkney”. He was acquitted. The evidence that had seen Alison Balfour executed was thrown out of court as it was deemed to have been obtained under torture – illegal in Scotland. Two years too late for the tragic Alison Balfour. The evil Earl did not, however, die peacefully in his bed of old age. In 1615, Patrick Stewart was executed for treason. Four hundred years ago, ten convicted witches were hanged on Gallows Hill. Now they are back…for vengeance. Laura Phillips’s grief at her husband’s sudden death shows no sign of passing. Even sleep brings her no peace. She experiences vivid, disturbing dreams of a dark, brooding hill, and a man—somehow out of time—who seems to know her. She discovers that the place she has dreamed about exists. Pendle Hill. And she knows she must go there. But as soon as she arrives, the dream becomes a nightmare. She is caught up in a web of witchcraft and evil…and a curse that will not die. Such horrible stories. I had no idea Scotland executed more witches than any other country! And I've always wanted to go to the Orkneys to see the Viking graves. This terrible history comes as a shock to me. Thank you so much, J.H. 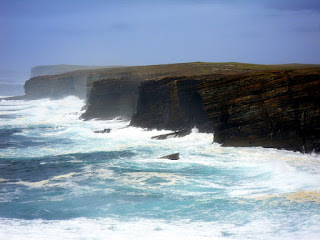 Orkney is one of my favourite holiday destinations. Ins o many ways, it is a microcosm of the whole of mankind's history - good and bad. It's also magical, inspirational and has a unique atmosphere. Crikey, Cat! That is scary. What cruel people we used to be. Couldn't stop reading. Glad you enjoyed it, Sue. Yes, the cruelty was barbaric. Sadly there is much that is barbaric about our own times too.